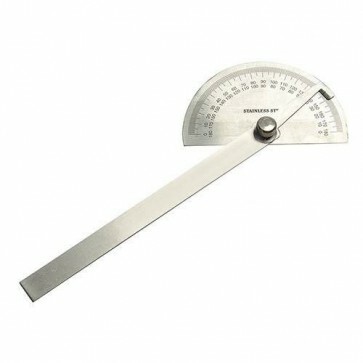 Brand New Protractor Stainless steel with brass locking nut. Dual marked from 0 - 180º in 1º increments. 150mm arm, 65mm gauge.